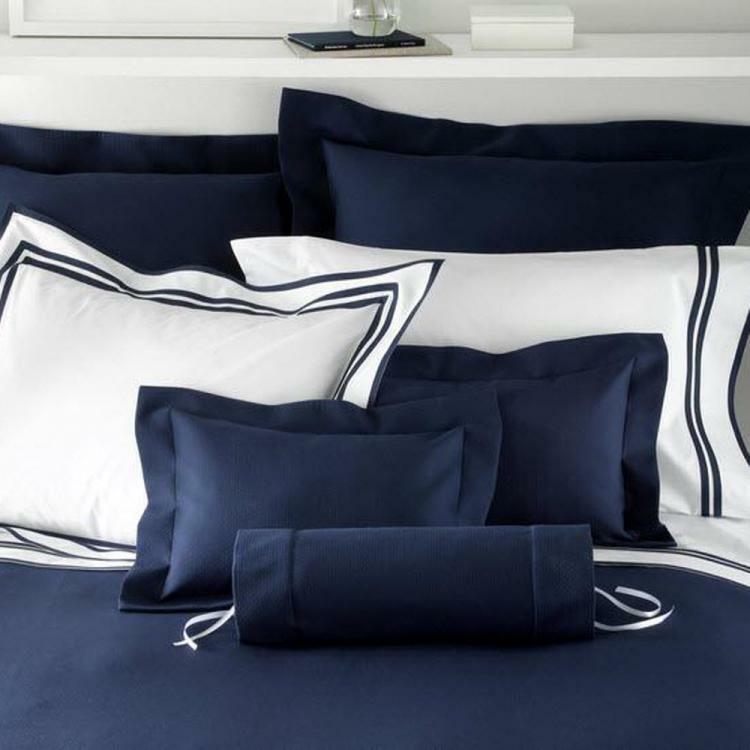 Meridain By Matouk Bedding Collection is three rows of bold, eye-catching trim, available in an array of vibrant hues, dramatically enhances crisp, classic white cotton bedding for the contemporary home. Add a monogram in one of the elegant hand cut appliques or custom embroidery to finish to a personalized look. 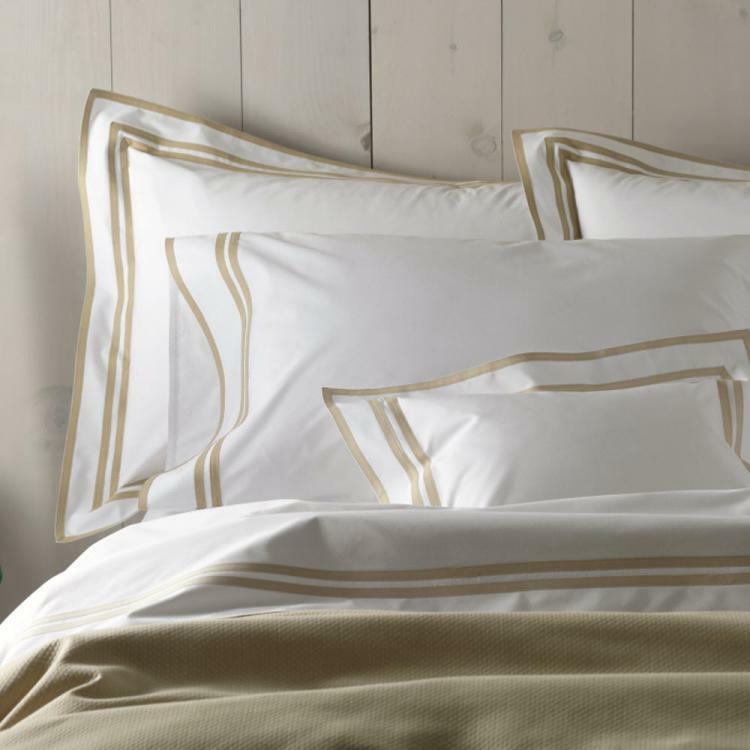 Choose your bedding pieces then add your color trim. Choose your monogram font and tape colors. If you would like us to match the trim please check the box and your monogram will match the selected trim choice. All bedding selections have a base of white cotton sheeting.